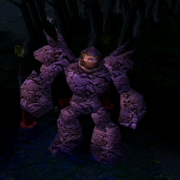 Dota 6.64 OMG 1.04e Map. BoB has released Dota 6.64 OMG 1.04e due to bugs & crashes caused in the previous map (OMG v1.04d). In this version BoB has fixed the bugs and problems that occurred. Hopefully, this release will have less bugs than previous one. You may check changelogs and download link of it! * Added feature from 1.04, but lost in 1.04d port, which made many unstable working pairs of abilities. * Fixed ultimates' gold cost (6 -> 10). * Fixed wrong English (thx DCX, Console and PS2MAN). * Fixed Howl, Refraction, Black Hole and Open Wounds. I didn't find any bugs in the previous map (v1.04d). Maybe I haven't used other mods. Anyway thanks for the map, BoB & Dota Utilities. thanks for the map, BoB & Dota Utilities. There's a bug in one of the newer version that causes God's Strength to activate if you cast Storm Bolt while God's Strength is ready to be used. Storm Bolt/Chaos Knight's Critical/Feral Heart/God's Strength On Skeleton King. man, could you include more spells that are missing, like Slith's images, Terrorblade's spells, Invoker's (these, if you let me suggest, could cost the gold of 2 small spells, and could be leveled up into 4 levels, like if you had 1exort and 1wex, then 3 and 3, 5-5, 7-7), etc.? "Haven't found any bugs" LOL. The previous version and this one is infested with bugs. Even the old ones were not fixed. Makes me wonder just what the hell did take so long to release this even more bugged map? I think BoB just bit off more than he can chew when he decided to make this map. All bugs still there and a couple of new ones. Open Wounds bug is back, Black Hole malfunction completely, Mana Burn bugs oftern, Feral Impulse transfers to all your later heroes in -dm. Fissure is even more bugged in this version. Instead of getting to cast it twice without cd, it now sometimes has completely zero cooldown. I'm not sure about the bottle bug though. And of course there are random bugs that occur, and now there are even more skill combos that activate when you press a single key, even though the two skills are not the same hotkey. I had Illuminate and Midnight Pulse. I couldn't cast Illuminate even by manually clicking, not unless pulse was on cd. Please do something about this travesty of dota. Blackhole only does dmg doesn't stun nor is it channeling on this version. Fissure has no cd sometimes and uses 2x the mana. best combo ever is essence aura, rocket flare and rearm. 1 rocket every second is godlike. Yeah, maybe very funny if we can play OMG with ai. I am Master Imbalance.All DotA players,challenge me at Meneski Battlegrounds.